I ran across this Moroccan soup a few months ago and figured I’d eventually get around to it and now it’s easily one of my favorites. 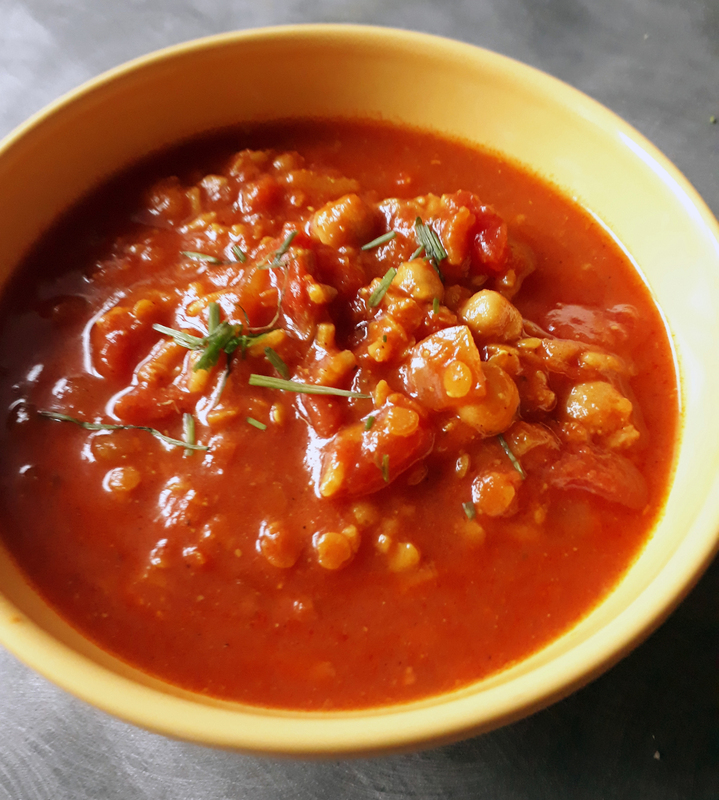 With a hearty tomato and spice base it contains what seems like an overwhelming amount of things (chickpeas, lentils, and a small amount of meat as well) but that gives it a great base but makes it hearty enough for a full meal. Heat the oil in a soup pot and once hot, add the meat and cook until browned, about 5-6 minutes. Add the cilantro, parsley, celery, onion, spices, water, and tomatoes. Heat over high heat until rolling boil then set heat to low. Add the lentils, chickpeas, and tomato paste and let cook for 15-20 minutes. Add the rice, and cook an addition 15-20 minutes. Adjust seasoning, add thickening agent if you like (1 tbsp cornstrach + water, or 1 tbsp flour + water).